This year marks the 25th anniversary of the awards show at the Museum für Gestaltung in Zurich, hosted by Hochparterre. The magazine honored "Die Besten 2018," the best of 2018, with its trademark trophy, the hare, awarded in gold, silver, and bronze. 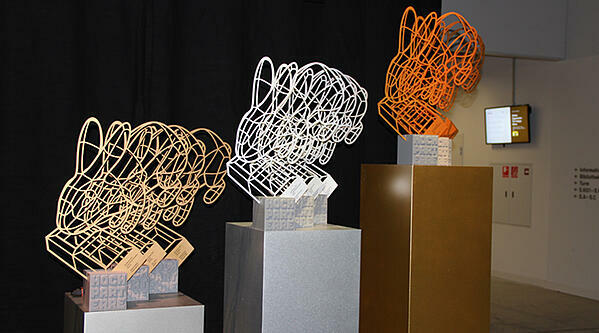 Here’s a look at the five Vectorworks users that took home a precious metal bunny this year. 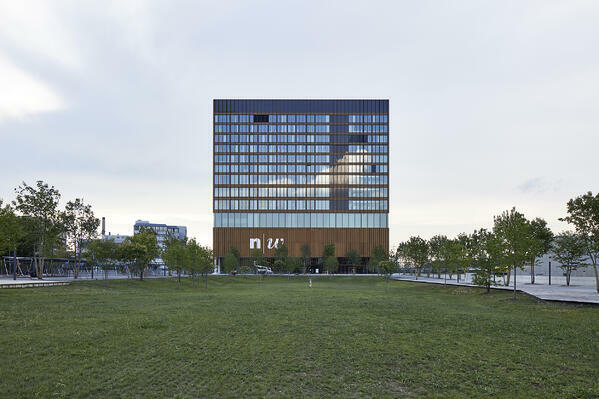 The new FHNW Campus in Muttenz, designed by Pool Architekten, will receive this year's golden hare in the architecture sector. The new FHNW Campus in Muttenz. Design by Pool Architekten and photo by Martin Stollenwerk. The new building on Muttenzer Gleisfeld has 12 upper and two lower levels. 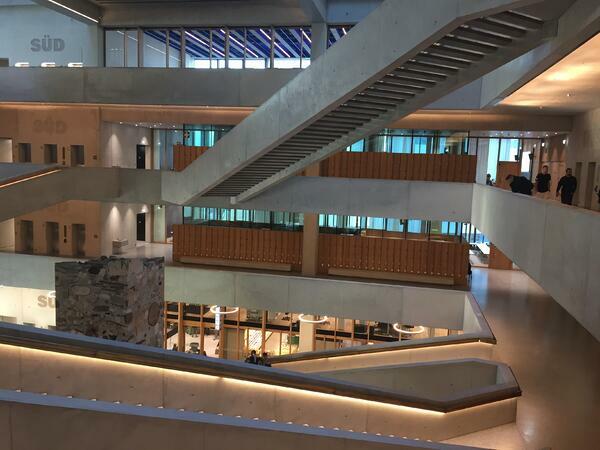 The space includes an auditorium, cafeteria, library, seminar rooms, workshops, studios, offices, laboratories, two sports halls, and 16 lecture halls. More than 60 meters tall, the building houses the individual institutes of the five newly merged universities of architecture, construction and geomatics, life sciences, social work, education, and mechatronics. The FHNW Campus Muttenz now has 3,700 students and 800 lecturers and staff. "A monumental atrium opens the room through two courtyards to the roof, so visitors lift their heads like as if in a cathedral. Stairs criss-cross [through] the air. Behind the rational façade hides an architectural eye-opening experience,” writes Hochparterre. In the FHNW atrium, staircases sweep through the air. Design by Pool Architekten and photo by ComputerWorks AG. In Renens, Dreier Frenzel Architecture and Communication designed a sophisticated new residential building: a multi-family house, which sets a contemporary accent between residential buildings from the 19th and 20th centuries. The house features a staircase outside to gain more living space. 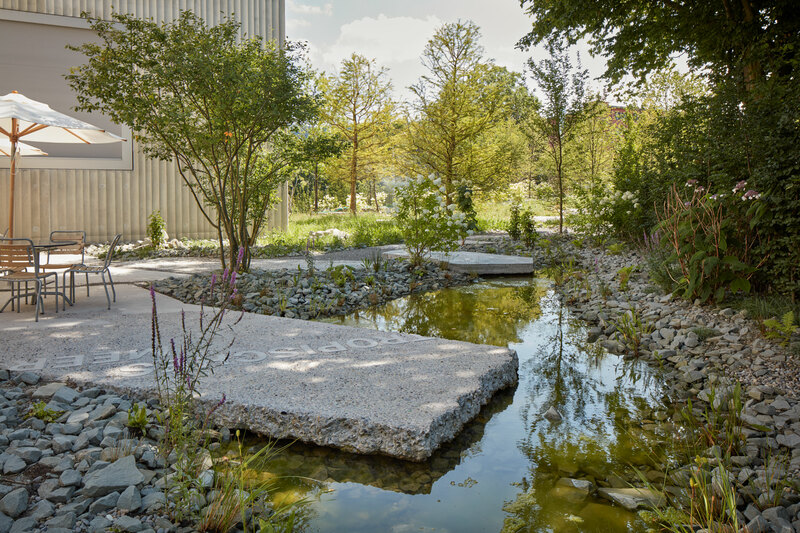 The golden hare for landscape architecture goes to the Burgfelden Park of Bryum in Basel. 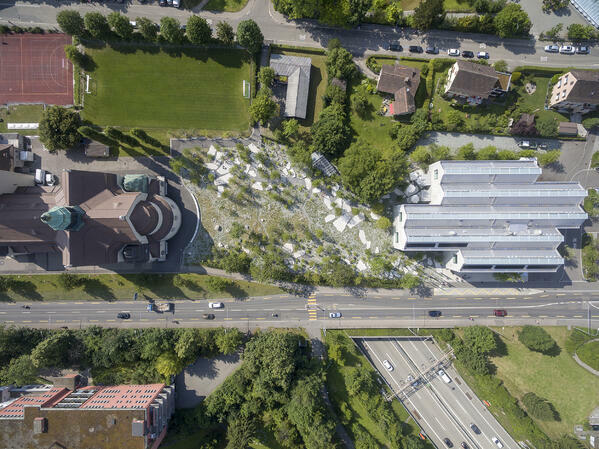 The "Office for Urban Interventions and Landscape Architecture" combines open spaces with the Burgfelden Park and brings Basel and Saint-Louis together. What began structurally with a path, some signs, and dismantled fences, has developed into a thriving habitat. The silver hare in the landscape category goes to Studio Vulkan from Zurich. The garden of the new St. Gall Nature Museum deals with the subject of artificial naturalness and natural artificiality. The task was not easy: what can the design of a natural history park look like over a motorway tunnel between sports facilities, housing estates, and arterial roads today? The St. Gall Nature Museum was designed by Studio Vulkan. Photo by Jean-Claude Jossen. Design by Studio Vulkan and photo by Das Bild. The bronze hare goes to the driftwood rake in the Sihl by Égü Landscape Architects. The interplay of engineering and landscape architecture reveals driftwood retention as a visible intervention with a defined beginning, precise transitions, and a clear ending. Congratulations to all the winners! Get a closer look at the winning projects by reading the original blog post from ComputerWorks AG.